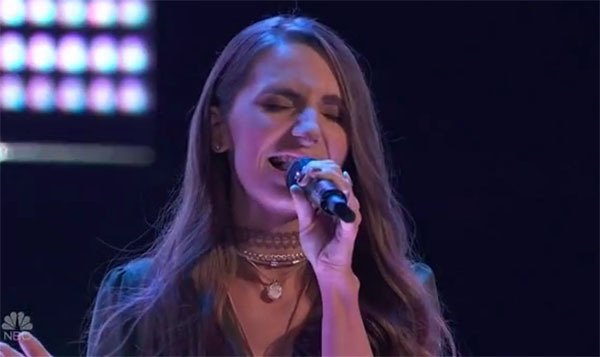 Jackie Verna sings her cover of “Peter Pan” on The Voice Season 14 Blind Audition, Tuesday, March 13, 2018. Adam Levine turned his chair for Jackie Verna. “That was the best country singer I’ve heard,” said Adam Levine.